we like this, easy to mount a camera to your fabric wing. 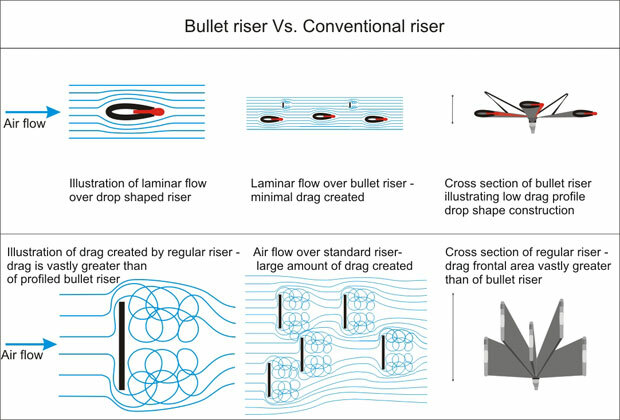 The bullet riser shown left has been designed to produce a reduced area to the direction of travel and airflow. Its drop shaped branches produce only a fraction of the drag produced by regular risers. It is still made from the same 25mm. width webbing, butshaped into a tear drop profile – easy to understand and handle. We like the idea and see its another step towards the future of flying.